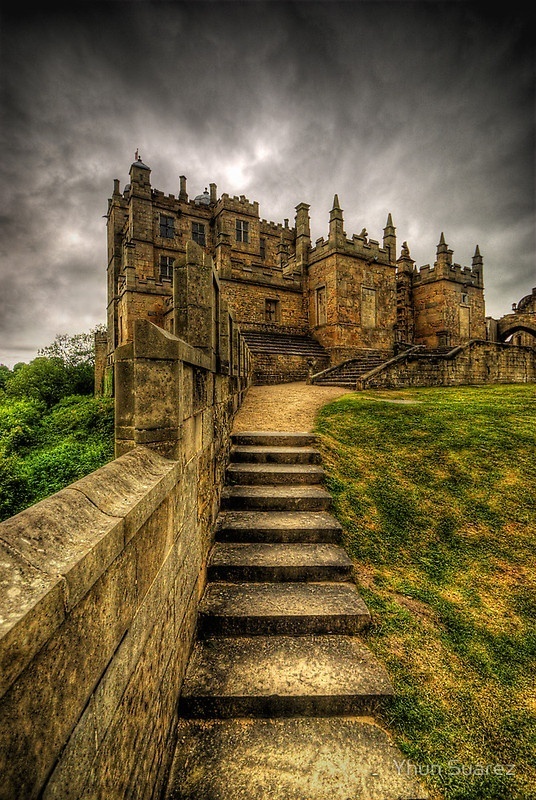 Bolsover Castle is a castle in Bolsover, Derbyshire, England (grid reference SK471707). It was founded in the 12th century by the Peverel family, who also owned Peveril Castle in Derbyshire, and it came under royal control in 1155. The site is now in the care of English Heritage and is a Grade I listed building and a Scheduled Ancient Monument. It was built by the Peverel family in the 12th century and became Crown property in 1155 when William Peverel the Younger died. The Ferrers family who were Earls of Derby laid claim to the Peveril property.